— All tuition is by CEES’ specialist, experienced, qualified, teachers. 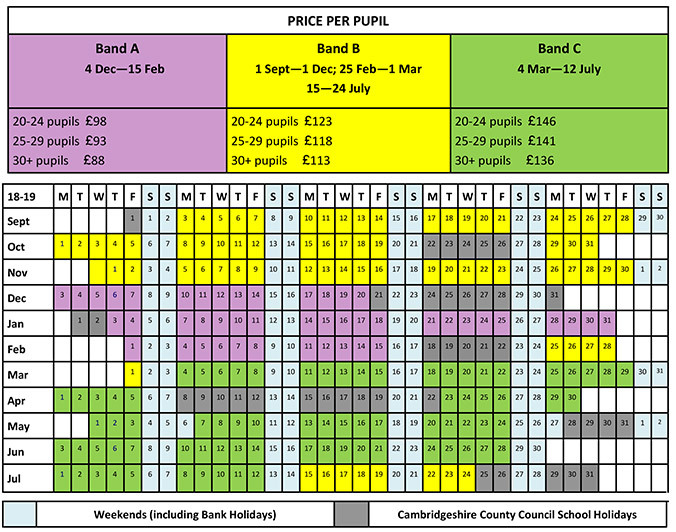 Where group size is less than 20 there will be a minimum charge equivalent to the fee for 20 pupils (with the exception of Special Schools). Some programmes may incur a small additional charge, for example where a minibus is required.